GHX had conflicting requirements including the need to fund its plan to triple the volume of information its business could handle, reduce the risk of outages and scale operations to fit demand. At the same time, it was crucial for GHX to concurrently reduce costs and increase EBITDA. Global Healthcare Exchange, LLC (GHX) delivers the industry-leading healthcare trading exchange in addition to procurement and accounts payable automation, contract and inventory management, credentialing and vendor management, business intelligence, and other tools and services. In support of GHX’s aggressive goals to expand the business, reach its EBITDA goals, and improve the company’s conferencing, Business Process Outsourcing (BPO), fax services, colocation, voice, wireless, hardware infrastructure contracts, and cost model, GHX engaged AuctionIQ (AIQ) and realized significant savings. GHX’s Chief Financial Officer Rob Gillespie is an innovative leader with a strong, committed team of Subject Matter Experts (SME’s) who fully support Rob in achieving the dual mission of reducing expense while growing and upgrading GHX technology infrastructure. By collaborating closely with AIQ this project tightened the alignment of business requirements and technology enablement.  AIQ projects deliver multi-million dollar, bottom-line results that free up capital to fund other investments or to return to shareholders. AIQ services permanently remove 30-50% of the overall cost of IT and telecom services, the 3rd-5th largest cost drivers in many businesses – and often in less than 90 days. GHX operates in the complex healthcare supply chain market and has an impact on redefining healthcare supply chain information management. Combine the size of the GHX platform and the speed of its business growth with running a business in the fast changing areas of healthcare and technology, and the challenges become clear. This combination of rapid change and complex business model created the crucial need for GHX to reevaluate its IT services and technology supply chain. Solving this challenge and creating value for GHX required not only a team but one that was tightly aligned to the vision, plan and outcome. Rob was the driver of not only assembling that team but casting the vision that kicked off the engagement with AIQ. GHX was facing ambitious growth and EBITDA goals, and Rob knew that running efficiently was a critical component to success. But it was not the only lever that needed to be pulled. While companies can’t always control delivery of revenue, Rob operated on the experience that you can control costs, only if you take the right steps. And managing for the possibility of revenue that may arrive late, or not at all, is ultimately a story about minimizing risk. Two of Rob’s critical team leaders included Steve Cochran, Chief Technology Officer, and Sloane Stricker, Vice President Global Operations and Infrastructure. Steve and Sloan had a plan: Create – an X factor, a way of getting more of what you want, and less of what you don’t. “Instead of walking around talking about cost cutting, which can seem like a negative thing, I prefer to talk about modernization and optimization,” said Sloane. Rob reached out to AIQ CEO Brad Buxton and the two organizations began to tackle the challenge. Step one was getting AIQ access to the required information and making the timely decisions to reach the results. Based on where AIQ identified potential savings, GHX started with wireless, conferencing services, e-fax, networking, collocation and hosting, and BPO. “AIQ is an integral part of the plan. We’re improving volumes, up time, efficiency and EBITDA, and reducing our costs, incidents, time and labor. That’s the GHX factor,” said Sloane. Transparency into IT services structures and spend models at atomic levels. A unique, proven process developed through more than 30 years of innovation and investment, then continuously improved on among its Fortune 1000 clients. The result is the client’s choice of its best combination of suppliers, contracts and pricing for IT services and telecom. The use and application of its global market knowledge database. Experts who are current on where cross-company, cross-industry and global developments are occurring in delivering IT services and supply chains. The result? 30-50% savings in the 3rd-5th largest cost item of most businesses (IT and telecom) services. Brad assembled his team and flew to the GHX headquarters in Colorado for a kickoff meeting and to begin gathering information about the company. It took less than a month for AIQ to project significant savings that would put GHX well on the way to meeting its fiscal goal. 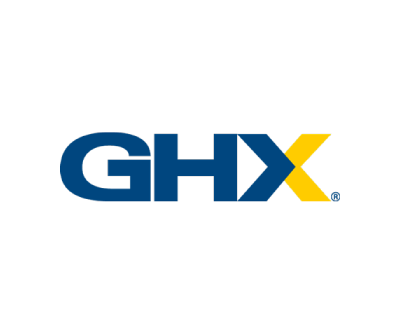 “GHX transacted more than $59 billion in healthcare supply spend through the GHX Exchange over the past 12 months and has documented $6 billion in savings for its healthcare customers. It was more than a little intimidating to step into a room full of experienced GHX procurement and technical employees with a promise of reducing their IT and telecom costs. But with GHX’s full collaboration, we did it.” – Brad Buxton, AIQ CEO. Rob understood that as CFO he had to be very engaged in order to achieve success. The AIQ team’s experience across its breadth of clients is that active leadership is required to ensure alignment of a vision, team, plan of action and outcomes. Having Rob actively engaged helped get this project off on strong footing. “I’m not trying to lead the project. I’m just trying to make sure the team gets the support, and that we’re getting to the goal.” He had to build consensus fast among the top executives and technical managers who would be necessary to implement his plan to reduce costs using AuctionIQ. Right from the start Steve had a clear sense of the problem. Plus, he understood how to use the best technology to deliver productivity improvements in a fast-growing healthcare business while embracing the notion that there’s always room to optimize IT services and the supply chain when growing fast and the technology is changing even faster. “AuctionIQ showed us how to expect more than being satisfied with a 20% discount. We had almost no belief that they [AIQ] could seriously impact our contracts. But they did, helping us renegotiate contracts and putting us in a much stronger position with serious savings. That was the starting point. And then I watched the complete transformation,” said Steve. The AIQ process began with the assignment of an executive, single-point-of-contact who could put the direction of the CFO into action. Sloane Stricker, VP Global Operations & Infrastructure, was known for his ability to get things done and was chosen for this task. Important to Sloane was targeting predicted savings without diminishing capabilities or the quality of services at GHX. “The story of this project correlates well with our main selling point at GHX: we are driving cost out of the Exchange by being lean, efficient and high performing,” said Sloane. “When AIQ came in and gave us the understanding of what we were currently paying for versus information in AIQ’s Global Market Knowledge Database, it gave us a more educated, informed position about costs. It changed the way I was talking with our vendors. Now we can maintain that supplier relationship with validated foundational knowledge,” said Jee. Like many large enterprises, GHX utilizes Business Process Outsourcing firms to handle some of the processes required to make its business function. These firms are important business partners. According to the GHX team, AIQ was a critical partner in achieving its goals around optimizing outsourcing. 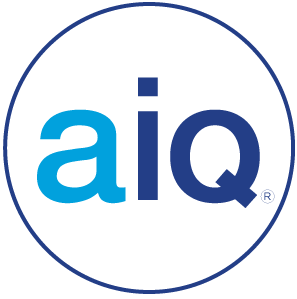 “AIQ has people, expertise, processes and experience across hundreds of clients and suppliers on a global basis that no single company could reproduce,” added Dave. What made the difference was the implementation and execution of AIQ’s unique business processes, data and expertise. The process merges billing rates, volumes, and many other details into a transparent and logical spend model and current baseline of costs. AIQ provides options and recommendations throughout the process that allow a client to make more effective decisions. AIQ’s expertise and working relationship with the global IT and telecom services suppliers allows the consultants to present the requirements and specifications to qualified bidders in a manner that fosters better understanding and competition. Suppliers hoping to win the business can confidently offer accurate bids because of the extreme detail AIQ provides. There’s no need to hedge or guess. That level of detail is key to AIQ’s process: it allowed bidders to tailor their bids to meet GHX’s specific needs because they knew exactly what’s required. And that detailed approach has another benefit: the incumbent is fully aware that the level of specificity allows their competitors to come in with competitive and accurate bids. They can see the ranking of all the bids in real time. They have to confront the fact that they’re competing directly against other firms on an apples to apples basis to keep the business. All the competitors can react instantaneously to lower their bids on any item as well as better their answers to detailed SLA and terms and conditions requirements. This process maximizes competition and makes the true market value available to AIQ’s clients.